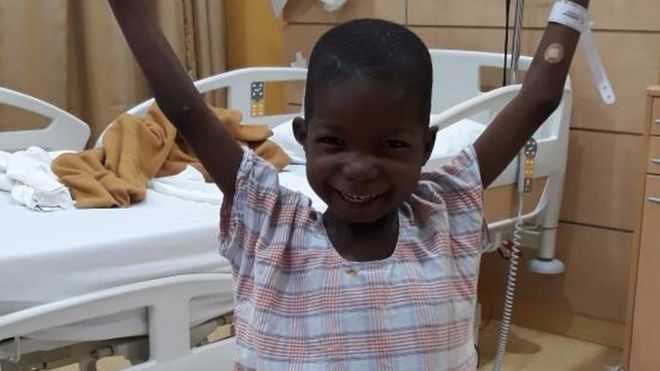 (BBC) — A five-year-old Nigerian boy, who was seriously injured when he was run over by Boko Haram militants three years ago, has taken his first steps since. The Islamist militants drove over Ali Ahmadu’s back on a motorbike as he tried to flee with his mother from an attack on their village, Chibok. Ali is now walking again, after having spinal cord surgery in Dubai.